A Year Through The Lens: Day 105 - Lantern City. 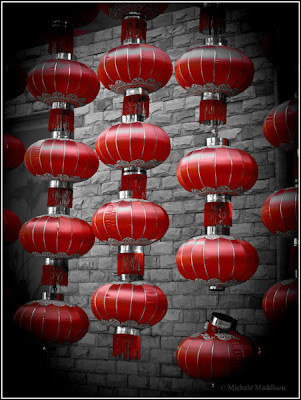 It wouldn't be China if you didn't see red lanterns. The beauty they hold when at night the soft light glows down on the rainy streets, says yep I'm in China. Back in Ancient China they were developed to keep the open flames from blowing out, and burning longer. Today they take on more a form of symbolism of art. At festivals and still homes today riddles appear on the lanterns for people to ignite the old grey matter and figure out. Me, I think I'd be there for a while!